Be the first to share your favorite memory, photo or story of Phyllis . This memorial page is dedicated for family, friends and future generations to celebrate the life of their loved one. Phyllis McLaughlin passed away Thursday, January 17, 2019, at the age of 101. She was the third of seven children born to William and Gezina McLaughlin: born August 17, 1917. Phyllis was a proud graduate of North High School (Class of 1935) and remained active in their Alumni Association for many years. She and a group of her high school classmates met for breakfast monthly until they were well into their nineties. The Bishop Drumm staff quickly learned talking with her about North High School was the best way to soothe her soul on those days that she seemed troubled. She married Robert E. McLaughlin on July 1, 1941. Choosing a husband with the same last name became a source of confusion for the rest of her life. Oh the forms that were returned because the person who received it was sure she (or her children, in later years) didn’t know what a maiden name was! In addition to being a wife, mother, and Brownie Leader, Phyllis participated in many Catholic women’s groups. Throughout her lifetime, she also held various jobs, including working as clerk for both the State Legislature and the State Attorney General. She retired thirty-six years ago from her job as a Manuscript Librarian for the Iowa Historical Library at the State Historical Museum. 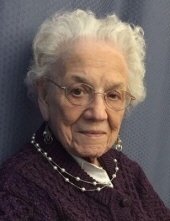 At age 101, she enjoyed reminiscing about those who passed before her: her husband Bob, her infant daughter Michelle, her grandson Timothy, her son-in-law Dan, her parents (W.H. and Gezina), and her five siblings (Lucille, Doris, Chuck, Audrey, and David). Phyllis is survived by her daughters Pat McClimon and Kathy Jarnagin, grandchildren (Chris, Molly, Colleen, Bob, and Dan), her great-grandchildren (Maddie, Erin, Emma, Dan W, and Dan M., Mary Kate, and Lexi), her sister Jeannine Wickliff, and seventeen nieces and nephews. Her survivors will keep the legacy of this feisty lady alive through the stories about her they will share for years to come. To send flowers or a remembrance gift to the family of Phyllis Eileen McLaughlin, please visit our Tribute Store. "Email Address" would like to share the life celebration of Phyllis Eileen McLaughlin. Click on the "link" to go to share a favorite memory or leave a condolence message for the family.